The marijuana industry has shifted quite rapidly over the course of the past several months to a year or so. In that time, the research regarding the substance as well as the legislation has both shifted in the favor of a brighter market overall. It seems as though we have entered one of the friendliest spaces to invest in the industry since its inception. One of the major breakthroughs has been the growth of the cannabis-infusion market whether that be edibles, tinctures, drinks or so on. These products have seen a large amount of success, and the companies that produce them have done the same. Ionic Brands Corp. (IONC) (IONC.C) is one of the leading producers of the cannabis-infused product. The company, based out of Washington State, has been working on manufacturing and distributing their brands around the West Coast. 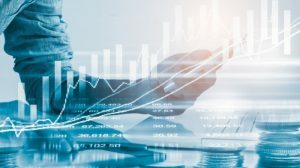 The company has also stated that their main goal is to increase shareholder value through its various brands and execution techniques. Ionic Brands was also voted one of the top 50 companies to work for in MG Magazine back in 2018, which just goes to show their commitment to growth for the future. In recent news, they have stated that they are entering into the cannabis-infused beverage market. The company made headlines after receiving several patents for coffee and beverage pods that would be infused with the substance. He went on to state that “we also see substantial development potential of new revenue streams through licensed infused coffee and tea brand partnerships.” Ionic Brands has been working to capitalize on this very fast paced side of the market. The patents that they now own are some of the first cannabis patents in the history of the nation, and only go to show the potential of the company. All in all, Ionic Brands remains an important company to keep an eye on in the near future. Aphria (NYSE:APHA) is one of the big names when it comes to the cannabis industry. The company made headlines only a month or so ago after uplisting to the New York Stock Exchange. This is something that only a few companies in the marijuana industry have been able to do. Aphria has been focused on producing large quantities of cannabis that are to be distributed around the North American market. In addition, they have also been working to produce new products for sale in the same market. Aphria has seen some downturns recently, which continues to put them on a watchlist, but investors should remember to always to their research before putting any money in. 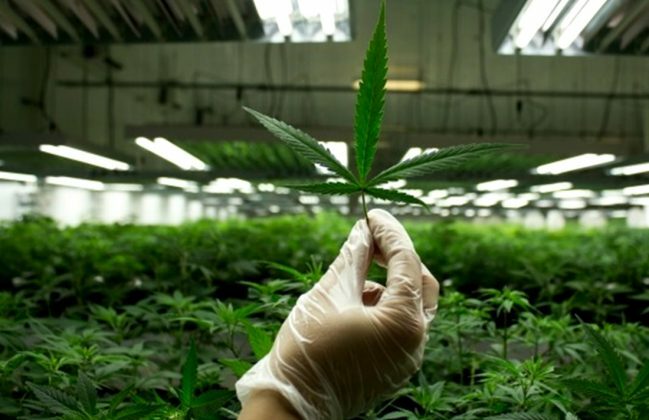 Pursuant to an agreement between an affiliate of MAPH Enterprises, LLC (owners of MarijuanaStocks.com), Midam Ventures LLC and Ionic Brands Corp (IONC), Midam has been paid $50,000 from Ionic Brands Corp (IONC) for a period from April 2, 2019 to May 2, 2019. We may buy or sell additional shares of (IONC) in the open market at any time, including before, during or after the Website and Information, to provide public dissemination of favorable Information about Ionic Brands Corp (IONC).